This handy little bag is ideal for when you're out shopping as it packs down really small and helps save waste (and money) on plastic carrier bags. 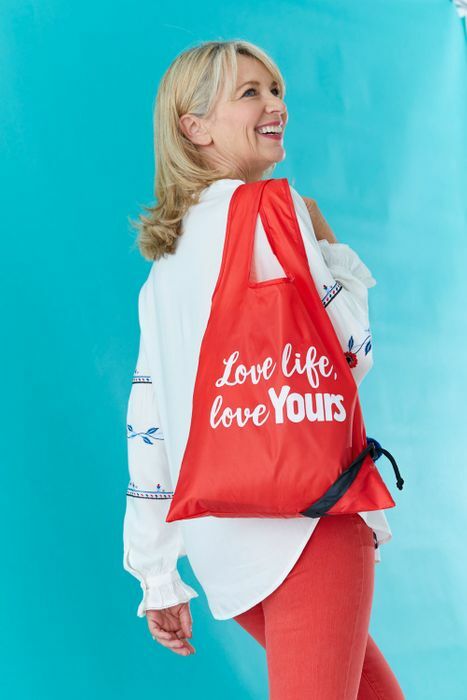 Made from strong, foldable polyester, it comes in a cheerful bright red colour and features a Yours-branded slogan. It opens out into a roomy 64.5x35cm (25x14in) and packs down into a small handbag-friendly size. To claim your free* bag simply call 0800 665 478. Quote YOURS and pay 70p by Visa or credit card. We have lots of other great offers available and our agents will recommend the best ones for you when you call. Terms and conditions: *You pay 70p P&P. UK only. At the time of ordering, you will be asked to cover the postage by credit/debit card and a payment will be taken of 70p. Lines open Monday-Friday 8am-8pm and Saturdays 10am-6pm. Calls are free from any UK landline or mobile. This offer cannot be used in conjunction with any other offer. Offer available for UK addresses only and limited to one per household. Offer closes August 31, 2018 or when the limit of 1000 bags is reached. This offer is provided by Bauer Consumer Media Ltd. I read this book and it's very good worth the money. Thank you tumblespots for sharing this freebie. Thanks for the share. 70p for a foldable reusable bag is worth it! Me neither, in fact I haven't ordered it either as I don't consider it free, but there are those who are happy with a 70p charge and I posted it for them.